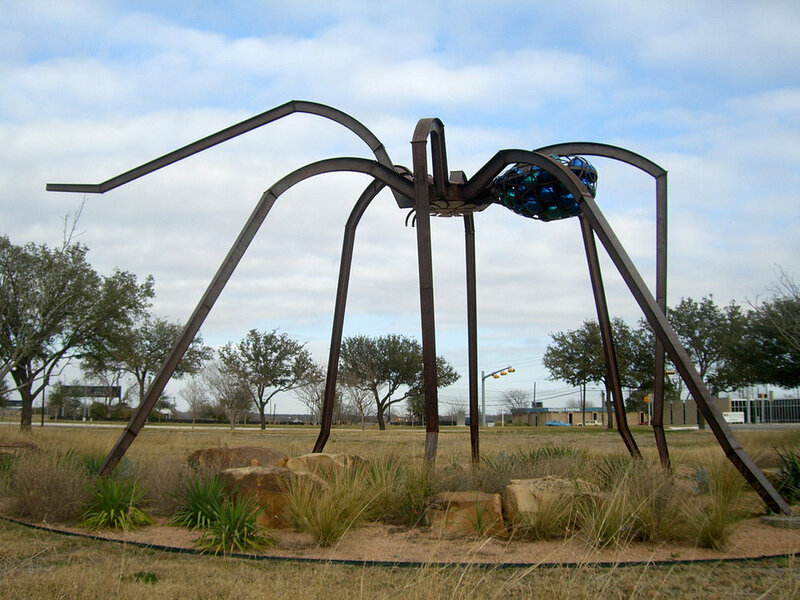 The 23-by-35-foot metal spider stands amid the fresh grass and newly planted trees atop the former airport parking lot that has been transformed into Mueller’s Southwest Greenway, a 33-acre project designed by RVi Planning + Landscape Architecture + Graphic Design. The sculpture straddles the 10-foot-wide hike and bike trail that will eventually encircle Mueller. Over time, the spider’s metal is expected to rust to an attractive shade of orange, while its six, deep purple eyes and blue and turquoise eggs will remain glossy and bright.